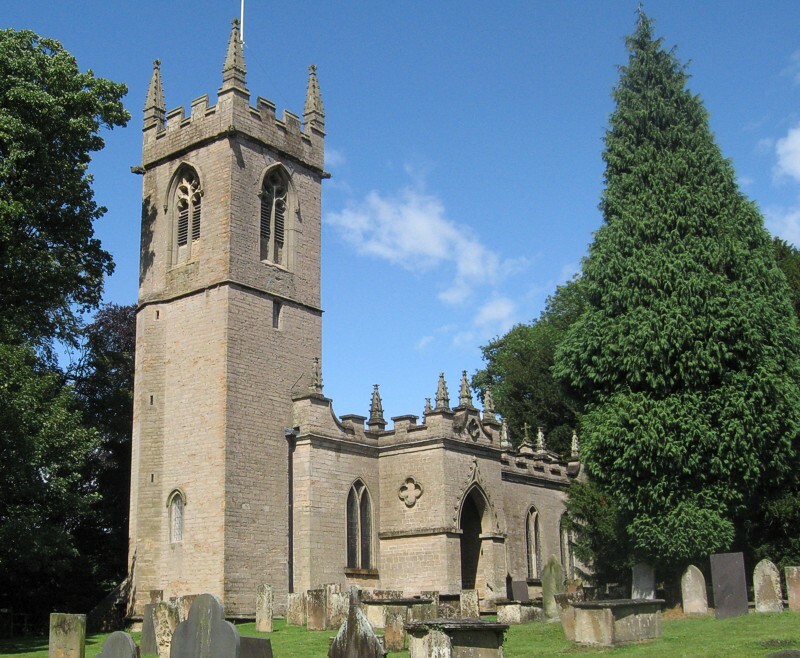 The origins of St James’ church probably lie in the 12th century. It consists of a tower, nave and chancel/sanctuary, and it has a gallery running the whole length of the north wall. The only part of the medieval fabric is the tower, which is of the 14th century. The nave was entirely rebuilt by Frederick Montagu in 1795 in the Gothic Revival Style. It stands in fields about half a mile to the west of the village. The church has a charming simplicity with its plastered walls, graceful clear south windows, gallery with squire’s pew, and east window depicting Faith and Hope. The church’s earlier history can be seen throughout. Just alongside the Norman tub-font is the famous Forester’s Slab with bow and arrow, horn and baldric, along with a number of other important medieval cross-slabs. In the south-west window are four 15th century panels of stained glass. The east window is painted glass by Francis Eginton and is a copy of Reynolds window in New College Oxford of Faith and Hope. In the Baptistry area are some fragments of old stained glass, thought to be from Newstead Abbey. There is a yew tree, probably over 350 years old, in the churchyard and an extension project in 2014 was designed to enlarge the area for burials. and to Jane and Bill Paulson and Chris Brooke for the photographs.